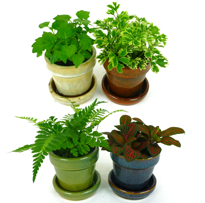 Everfloris plugs are an easy and less expensive way to start your Everfloris collection. 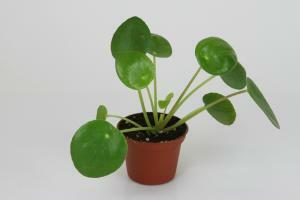 They come in a 2" pot with already well established roots and travel well! 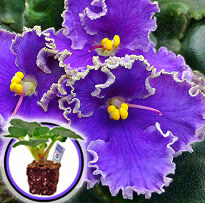 The EverBeautiful plug (purple - dark lavender)is grown in a 2 inch pot and already has a well established root system for easy growing. 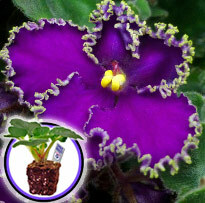 The EverJoy (burgundy-purple)plug is grown in a 2 inch pot and already has a well established root system for easy growing. 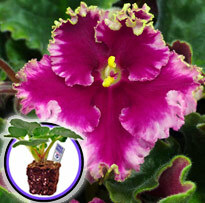 The EverLove (purplish-red) plug is grown in a 2 inch pot and already has a well established root system for easy growing. 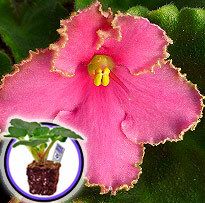 The EverRejoice (salmon-pink) plug is grown in a 2 inch pot and already has a well established root system for easy growing. 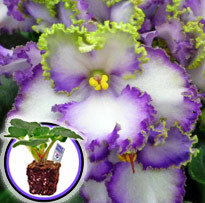 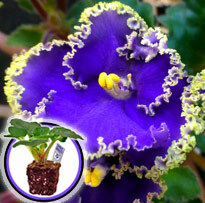 EverSpecial (purplish blue with white edge)plug in 2" pot. 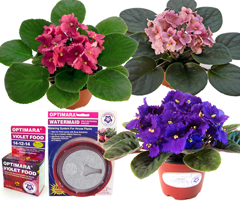 We highly recommend to order the Optimara Potting Soil at the same time since it is the best growing medium for African violets. 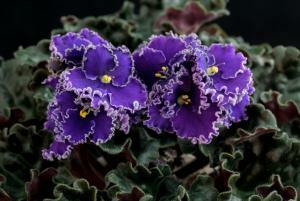 Many soils available on he market that claim to be for African Violets are being offered by companies that don't grow African Violets and will keep your violets too wet or make them deformed. 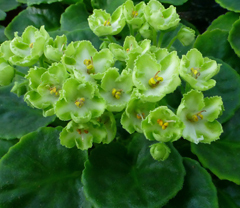 The Optimara potting soil consists of straight peatmoss with tiny styrofoam beads with the right PH balance and is exactly the same mix that Optimara uses in their greenhouses to grow all their beautiful violets.